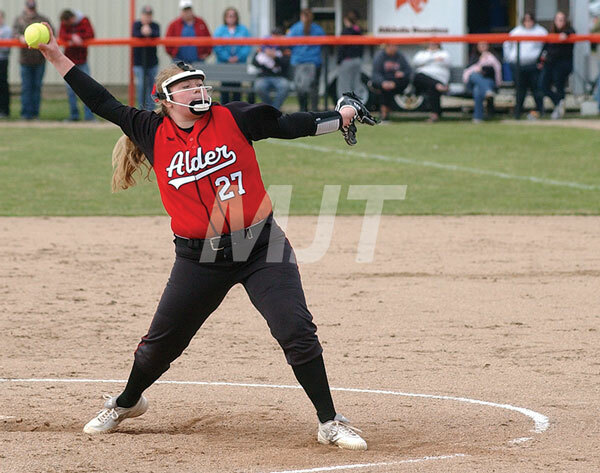 Above, Marlee Jacobs goes through her windup before delivering a pitch during a recent softball game at North Union High School. 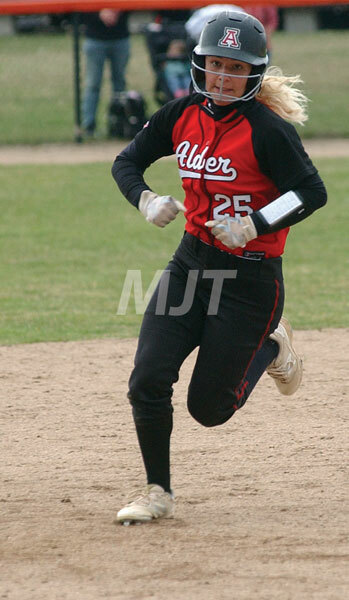 At right Cierra Clark runs the base path between second and third as she advances on a hit to the outfield. The Lady Pioneers made a push in the final inning against NU, but came up just short losing 5-6.